Accento has been a manufacturer of chairs and furnishing accessories since 1931 when it was founded by grandfather Lino. ADENTRO* contemporary design was created with a single aim: to design and make furniture that bridges classic furniture to the modern world. Our collection is timeless, representing simple yet meaningful shapes and contours. Alivar, founded in 1984 in Firenze, Tuscany, is a dynamic company, ever aware of evolving technology and advances in architecture and design. It produces contemporary furniture for every space, each one with a distinctive style but consistent on the same time. An Alivar ambience has a refined style, it's a work in progress, anchored not to single pieces but to an overarching solution. Its pieces are contemporary but are more than just fashion; they are a special way of interpreting interiors. Alivar offers two different collections: Home Project and Brilliant Lifestyle, for contemporary living that is faithful to the past while looking ahead to the future. In 1947 Carlo Barassi, engineer of Pirelli, together with Renato Teani, in the financial dpt. of Pirelli, Pio Reggiani and Aldo Bai, founded the company Ar-flex (flexible furniture), that became later arflex. They worked together with a young architect Marzo Zanuso and began to experiment the use of foam rubber and elastic tapes for the furniture market. In history and life of a company there are events and moments of special meaning, which are awards for merit acknowledged by everybody. Those first memorable moments in the history of arflexcoincide with the company's creation, in modest premises in Milan's Corso di Porta Vittoria. It was there that the first manufacturing and sales team was formed, but the arflex company was only presented to the public for the first time in 1951, at the IX Triennale in Milan,after two years of experimentations. This early contact with a wider audience in the context of an avant-garde artistic event is intensely significant in the company's history, because right this experimental interest, if not separated from commercial purposes, shows the will of creating high technological and esthetical level products, based on deep research and experimentation. The golden medal at the IX Triennale assigned to Lady armchair was above all recognition of Arflex manufacturing philosophy. In keeping with the radical spirit of its founders, Artek today remains an innovative player in the world of modern design, developing new products at the intersection of design, architecture, and art. The Artek collection consists of furniture, lighting, and accessories designed by Finnish masters and leading international designers. It stands for clarity, functionality, and poetic simplicity. The foundations of Artifort were laid by Jules Wagemans when he set up business as an upholsterer in Maastricht in 1890. His son, Henricus Wagemans, expanded the company into a furniture factory, which had a showroom in Amsterdam by the end of the nineteen twenties and was already well known nationally. The economic recession of the nineteen-thirties forced H. Wagemans & Van Tuinen, as the furniture company was then known, to create a distinctive profile. Developing a catchy brand name and logo was a start. And naturally the furniture had to be distinctive too. The emphasis came to lie on functionality, comfort and quality combined with aesthetically pleasing design and an innovative use of materials. In 1928 the new brand name was introduced: Artifort, derived from the Latin word ‘ars’ meaning art or knowledge, and ‘fortis’ meaning strong or powerful. The word ‘comfort’ is also reflected in this brand name. B-line was founded in 1999 in Padua, Italy,with the intention of recovering design classics now discontinued, like Joe Colombo’s Multichair or Rodolfo Bonetto’s 4/4. From then on, its ambitions regarding good designing came to fruition in the form of international collaborations and, besides the several items they consider heritage, they manufacture furnishing products for the home, office and contract. The materials they use are plastic, steel, fabric and wood and they are extremely flexible where the technologies to be deployed are concerned. In this quest of its for the perfect combination between versatility, originality and functionality, they involved both the creative genius of Karim Rashid as well as the Zen essentiality of Kazuhide Takahama or perhaps the inspiration of a newcomer at his debut: what absolutely counts for B-line is the quality of the design. Having singled that out, B-LINE’s team and the designers work hand in hand through to the selection of materials, covering all technical aspects, to turn out products entirely made in Italy. Founded at the end of the 50's, during the period of maximum development of Italian design research, BBB operates in the design industry with its own special identity. Rather than simply following the ultimate trends, the company took on the role of driving force between experimentation and tradition. In its role of intermediary, BBB was able to represent the ever-changing spirit of the times in a modern yet always balanced style, thus creating an updated and elegant Italian living culture. The list of collaborators that have accompanied BBB in this evolution is alone a witness of what they accomplished over the years: from Achille and Pier Giacomo Castiglioni, Giandomenico Belotti, Giorgio Decursu, De Pas D'Urbino Lomazzi, Paolo Ferrari, Carlo Santi, the masters, and the present designers as René Barba, Alessandro Bosco, Dror Benshetrit, Massimo Colombo, Edy and Paolo Ciani, Lorenzo Damiani, Carlo Forcolini, Giovanni Giacobone & Massimo Roj, Franco Poli, Ilaria Prato, Marcello Ziliani. A heritage which reveals its contemporary appeal in this new catalogue that collects and compares projects of the past and of today, almost a dialogue about the meaning of contemporary living and the value of design, style and project. The identity of Bitossi Ceramiche starts from the beginning of 1900’s and develops upon a productive ceramic tradition that existed in Montelupo Fiorentino starting from 1500. The Bitossi family business produces artistic ceramics, at least since 1871. It will be Guido Bitossi, heir to the ceramic tradition, to establish in 1921 the “Manifattura Maioliche Artistiche” featuring typical local craft works. The traditional production was renewed thanks to the Art Direction of Aldo Londi, a man attentive to the evolution of taste and with a natural born creative and aesthetical sense. The meeting with the architect Ettore Sottsass was of primary importance and it turned into a close collaboration with Londi for many years. Together they will give birth to successful lines which combined and magnified skill and genius. Bitossi Ceramiche still is in the original factory and it is still the destination for leading design characters who are fascinated by the historical value of the company and by craft production and create unique collections which are then recognizable in the nicest international shops. This attitude bound to the entrepreneurial skills developed throughout the years and to the constant research for quality product, helped to create its own identity for Bitossi Ceramiche, qualifying it as an example of Italian excellence. The family thus started to collect over 7000 historical works, documents and material related to the artistic ceramic production since 1871, and so it was created a massive Archive. The Bonaldo collection expresses continuously developing modernity, a path that attributes value to the experimentation of new materials and to partnerships with the best national and international designers. Over eighty years of history, for creating items that become an individual memory. Brionvega is an Italian electronics company, established in Milan in 1945, now located in Pordenone, Friuli-Venezia Giulia, Italy. The company was founded in 1945 by Giuseppe Brion and engineer Pajetta. Initially called B.P.M. Company and manufacturing electronic components, the business became known as Brionvega in 1960. In the early 1960s, two unusually designed portable television sets, designed by Marco Zanuso and Richard Sapper, were launched by Brionvega by the names "Doney" (1962) and "Algol" (1964). In 1969 Brionvega released the "Cubo" television (production now ceased). This set was designed by Mario Bellini and became a classic of that era and is on permanent display at the Museum of Modern Art in New York. An updated version of this television was produced in 1992 with the same exterior casing but new electronics but this is now out of production. Founded in 1981, Bross has always been known as a fresh and creative company, also attentive to detail and to the quality of its products. The attention to detail, the careful selection of materials and the love for wood are distinctive features of the company that was created to meet the specific requirement of the early '80s: qualify the production and the potential of the company in terms of aesthetics, functionality and technology. Starting from the 1960s Busnelli has been producing trend-setting designs and using state-of-the-art technology to make high-quality furniture. The Milan-based company's main focus has been on seating furniture, and is especially known for its beautiful sofas. A hallmark of Italian design abroad, Busnelli has been consistently producing fashionable, superior quality chairs and sofas for over 50 years. by Lassen is a Danish design company founded in 2008 with the aim of bringing the designs of visionary architect Mogens Lassen back into public consciousness. Cantori is a manufacturer with a sublime sensibility towards art. Since 1976, Cantori has relied on the extensive experience of small traditional manufacturers from Central-Eastern Italy to develop a high-quality laboratory. Cantori's furniture is traditional and romantic, but is made using modern technologies and work ethics. Cantori's approach towards design is obvious in its graceful products, which reveal attention to detail and careful craftsmanship. In 1946 Enrico Cappellini opened a small workshop in Carugo; here traditional pieces of furniture were produced according to the artisan traditions of the Brianza area. In 1977 Giulio Cappellini joined his father's company with the precise intent to bring innovation and to push the brand on the international market. In 2004 Cappellini joined the forward thinking of Poltrona Frau Group, leader in the international field of upmarket furniture. The story of Carl Hansen & Søn began in 1908 when Danish cabinetmaker Carl Hansen opened a small furniture workshop on the Danish island of Funen. Since then, the company’s success has depended on two core ideas: an uncompromising commitment to the finest craftsmanship, and alliances with exceptional designers who continually reinvent and refine the concept of modern design. Carl Hansen & Søn’s evolution has been deeply influenced by long-term relationship with one of the greatest designers of all time: Hans J. Wegner. Casamilano was founded in 1998 by Anna, Carlo and Elena Turati with the aim of creating a home project of international scope. It made its debut at the Milan Furniture Fair in April of that year. The Turati family has worked for generations in the furnishing field. In 1929, grandfather Carlo founded with his sons a handicraft business that soon developed into a small furniture company. In the 60s, following the change of taste and style recorded on the market, Giuseppe (called Peppino by his friends) gave the company a new course and created Tisettanta, involving internationally renowned architects such as Gae Aulenti, Vico Magistretti, Angelo Mangiarotti, Carlo Bartoli, Annig Sarian, Antonio Citterio. In the family's Company, Giuseppe's daughter Anna manages the creative area together with her father, while Carlo manages the commercial area. Once left the family's Company in 1997, the following year Anna, Carlo and Elena decided, with their father to create Casamilano, a Company that has been able over the years to impose itself and develop a selected distribution channel, with more than 700 points of sale all over the world. Casamilano cooperates with internationally renowned designers, whose creative style corresponds to the features of its project: Paola Navone, Laboratorio Avallone, Roberto Lazzeroni, Massimiliano Raggi, Castello Lagravinese,Marco Boga, Enrico Franzolini, Studio Opera, Lievore Altherr Molina. The world of Cassina is the story of a farsighted and intuitive company: the first to usher into Italy the era of industrial design in the 1950s, marking the shift from handcraftsmanship to serial production. Driven by a pioneering vision, the company has always been ahead of its time, successfully attracting talented designers and architects in the making of new shapes, spurred by many inspirations and influences of contemporary design. Research, artisanal expertise and technological development come together in the wide range of offerings for the home and large-scale architecture. A philosophy of passion and perfection unveils its excellence in the production of upholstered furniture, enhanced by high-comfort, essential, versatile and strikingly innovative designs. Continuing its connection between past, present and future, Cassina presents to the world the great classics of the most important architects of the twentieth century, relaunching the icons of modernity in the collection I Maestri, based upon accuracy and full respect of the original projects. The expressions that have traced the history of design from the fifties to the present day live on in the Contemporary collection, where iconic Made in Italy pieces find new interpretations and variations within different anvironments. cc-tapis is an Italian company which produces contemporary hand-knotted rugs which are created in Nepal by expert Tibetan artisans. The company was founded by Nelcya Chamszadeh and Fabrizio Cantoni in France who have been producing hand-knotted rugs in Nepal for over 18 years. In 2011 cc-tapis moved to Milan where the company is now based and a team of designers lead by Daniele Lora, art-director and partner, innovate through a new approach to traditional methods. A strong respect for the materials and for the culture of this ancient craft is reflected in the company’s eco-friendly approach to every step of production, ranging from the hand spinning of the softest Himalayan wool to the use of purified rainwater for the washing of the final products, making each one of cc-tapis rugs unique. Colé Italian Design Label is a new brand of Italian design, launched in Milan during Salone del Mobile 2011. Founded by Matteo De Ponti and Laura Macagno, aims to create a new way of making design, based on a sophisticated expressive research and an unpublised collaboration among all subjects taking part in the productive chain. The first collection, designed in collaboration with designers Lorenz / Kaz and Aksu / Suardi, is the result of rethinking traditional furniture with a certain degree of contamination (of signs, materials, cultures) which leads to read back in light and ironic way many archetypal forms. A different view and an ever growing desire of renewal are the generating values of the company founded in 1956 by Fernando and Maddalena De Padova, characterized by a strong focus on the modern, an instinctive taste for beauty and a care for projects that can stand on their own. The great leaders masters/visionnaires all brought together in a single catalogue: Achille Castiglioni, Pierluigi Cerri, Michele De Lucchi, Charles and Ray Eames, Vico Magistretti, Ingo Maurer, George Nelson, Dieter Rams… were all responsible for choosing a new and extraordinary direction. They are the inspiring tunes of a big symphony, to which the notes of other talented emerging designers followed and enriched the catalogue in the 2000s. This path has been created by establishing connections across time and space, with precise cultural references, from folk to classic, from technological accuracy to the versatility of contemporary environments. An imprint that has confirmed over time the special and unique DePadova language, rich in elegant style intuitions. The merger with Boffi in 2015 has emphasized this attitude, starting from the launch of the current showroom, which is a new beginning. Under the art direction of Piero Lissoni, The iconic historical collection, has been renewed and enriched with innovative items, designed by Lissoni himself, together withdesigners as Nendo, Maarten van Severen and many more brilliant minds. The charming loft of Via Santa Cecilia, DePadova’s new address, becomes a place where everyone can imagine and design their own home or work environment. Bobby Dekeyser founded DEDON in 1990. Starting with an innovative, weatherproof synthetic fiber, the company set out to create a new kind of woven outdoor furniture, one that combined modern technology with luxurious hand-craftsmanship. A search for the world’s best weavers led DEDON to Cebu Island in the Philippines. While the early years were marked by trial and error, the uniqueness of the product, the artistry of the weaving and the company’s obsession with quality set DEDON apart from the beginning. Every manufacturing company has its signature style; Driade's is undoubtedly its eclectic elegance. The company's modern design is consistently paired with a traditional sensibility towards historical leitmotifs. The manufacturing process also combines advanced technologies and new materials with old-fashioned care and attention to detail. That is why every Driade product is unique and timeless. In its 40 years of history, Emmebi has succeeded in establishing itself internationally as a furniture manufacturer characterized by extreme sensibility towards design and materials. Run by the two daughters of the founder, Emmebi design focuses on producing functional and original pieces that are essential and elegant at the same time. Emmebi design's products are carefully crafted to maximize durability while exalting their beauty. Estel is an historical furniture company of the Italian Design, founded in 1937 by Alfredo Stella, developed and managed by Alberto, the current President at the helm for 30 years with his brother Pierluigi, and now supported by his sons, Massimo and Matteo. Until the late 70s, the company manufactured home furnishings for the Italian domestic market. Wardrobes, beds & nightstands, as well as bookcases, tables, chairs and sofas are still best-sellers. The Office division was born in 1980: it includes products for executive and managerial spaces, as well as seating and partition walls. Since the 90s, Estel has been a leader on the Italian market in the manufacture of OFFICE furniture. eumenes is a new brand of design furniture founded in 2011 in Milan, the heart of the Italian design tradition. By leveraging on this heritage and on the extensive design expertise of the team, we are designing and creating furniture “for the common good” which is evident in our ancient Greek name, “eumenes”. Founded in 1882, the company is currently managed by the third generation of the family with Giovanni and Michele Gervasoni. The aesthetic standards and production techniques have changed over the years. Not the passion for beauty and artfully made. Attention to detail, the use of natural materials crafted with mastery, suggestions of places near and far remain the hallmarks of Gervasoni products. The company designs, develops, manufactures and markets furniture solutions for the home and for the contract sector in its production facility of 30000 sq. m in Pavia di Udine, that has 80 employees. Collaboration with some of the most qualified designers such as Paola Navone – artistic director of the company – Marco Piva, Michael Sodeau and Jasper Startup, guarantees the aesthetic quality of the products and continued experimentation with new materials. Founded by the Arosio family in Brianza Italy, Glas Italia is based on glass craftsmanship and collaboration with designers including Ettore Sottsass and Piero Lissoni. Described by Sottsass as one of the most openminded industrialists he had ever worked with, Glas Italia specialises in producing large glass and crystal plates and invented a system to produce coloured mirror plates. Working with Ettore Sottsass the group produced some of the most dynamic pieces using this new technology. Today the collection continues to be guided by colour. Gubi is a Danish design company dedicated to lighting and furniture. Founded by Lisbeth and Gubi Olsen in 1967, Gubi's headquarters and showroom are based in Copenhagen. On the living-space design landscape, Horm defines its identity through two distinct design approaches, proposing both pure, functional forms and true domestic sculptures that occupy the subtle space that divides seriality from art. ICF opened in Italy in the 1950s, and was known for its passion and research right from the start: we belong to that group of companies that, at the time, were making a significant contribution to creating and establishing the concept of Italian design. I.C.F. Industrie Carnovali, with over 50 years' experience in metal processing, develops and manufactures exclusive furnishing lines paying particular attention to the choice of materials and finishing, ensuring a high quality product and an exclusively Italian production. They propose modern and essential lines of bookcases, chairs, armchairs, tables and furnishings and author's pieces designed by internationally renowned designers. Protagonists of the collection are several original designs of Joe Colombo that we produce and distribute upon permission by Studio Joe Colombo of Milan. Materials such as stainless stell, aluminium light alloys, leather, fabric, wood and crystal coexist harmoniously, creating pure shapes underlined by the colours. The combination of the latest technology and the Italian craftsmanship ensures very high quality products. Combining innovation creativity to rigorous style we offer an assortment of forniture with minimalist decor and timeless elegance to an international audience. Kristalia was founded in 1994 by the will of a group of young jazz fans from Friuli who did the smartest, easiest and most instinctive thing one could think of: they took a look at their immediate surroundings – north-east Italy where the company was going to be based – and discovered completely new design sectors through which the best products of this land could be expressed: mountain boots, the production of automobile parts, clothing and knitwear. They then decided to give a new rhythm to these places to move them towards design innovation. A few years later, Kristalia was already a landmark in Italy and beyond. At the outset of the 21st century the company made the history of extending tables. In the second decade of the century it became one of the design firms that particularly attracted designers. A few years ago it also opened up to the world of hospitality contract supplies. Nowadays, once sceptical sub-contractors are the first to contact Kristalia to develop new ideas. The meaning: to establish a sound and lasting relationship with a family of designers and artisans, opening up to new talents capable of communicating with an accurate, clean-cut and visionary language and with a very strong bent for innovation. Kundalini is a company with a strong identity and a cosmopolitan style, innovative and sophisticated. A company that speaks a universal yet extremely recognisable language. Its unconventional spirit has always merged the subtle poetry of shape to maximum functionality and handiness, moulding the finest materials through cutting-edge processes. Every Kundalini product is the fruit of a strong concept and tells the story of a specific creative and technological journey. All are consistent with the corporate philosophy that has always combined an unconventional approach and the search for new aesthetics with a deep knowledge of materials and technologies. Kundalini lamps are characterised by a sense of colour and geometry that is always fresh and with high creative content, drawing inspiration from time to time from different worlds. Nature, industrial scenarios, the visual arts are just a few of the contexts observed and reinterpreted to create lamps where shape and function are intertwined and complement each other to become inseparable elements, a synthesis that is always perfectly balanced between function and emotion. Based in north-eastern Italy, near Udine, L'Abbate is known for its high-quality and tasteful products. Despite its long history, the company has remained open to innovation and dynamic. As such, in recent years it has produced a wide variety of furniture designed by Italian and northern European designers, both established and emerging on the international scene. Thanks to its unique approach to design, L'Abbate remains one of the most respected and successful furniture manufacturers on the Italian and international scene. LaCividina was founded in 1976 in Friuli-Venezia Giulia, in the North East of Italy. It is now a leading manufacturer of armchairs and sofas, working both as a contractor and for private customers. A quintessentially Italian approach is tangible in every design and flawlessly encapsulated in the products thanks to the carefully selected materials and finishes, as well as the tailored service for customers. Lapalma’s success has been achieved step by step throughout the years. No overnight success stories here - just hard work and passion in equal measure. For thirty years, the company has shown talent, tenacity, know-how and above all inexhaustible enthusiasm, expertly combining metal with wood, leather and fabrics to create timeless pieces of furniture with clean fluid lines. The company’s story begins in the 1980s, when founders the Marcato brothers decided to go into business on their own. Their initial idea developed rapidly and Lapalma was established soon after, showing from the outset a preference for natural, recyclable materials. Following investments in machinery, Lapalma took advantage of the availability of new materials to develop a wide range of products for the contract market, which quickly demonstrated the brand’s appeal, attracting buyers on major projects worldwide for hotels, shops, museums and airports. Antoine Roset opened a wood processing factory in Montagnieu, in the Ain province of France. Very quickly he and his son Emile began producing wooden umbrellas, walking sticks and, perhaps foretelling, chair frames. In post-war 1950 Antoine’s grandson, Jean, quickly shifted the focus of the company- which now employed 50 people- to contract furniture. Tables, chairs, and beds were produced for commercial usage and were utilized in a variety of institutions, including schools, universities, hospitals and retirement homes. Intense growth soon followed and, 10 years later, Jean Roset entered the domestic market. Jean’s sons Pierre and Michel joined the family business during the explosion of creativity- the hallmark of the 1960’s and 1970’s-which presented a timely opportunity to revitalize the company by working with interior architects and designers such as Michel Ducaroy. The Ligne Roset brand became official in 1973 with the very first store opening, alongside the launch of Michel Ducaroy’s Togo, a timeless, iconic piece that continues to enrapture a captive audience. Since the early 1970s, the company has followed a clear path, maintaining an intensive dialogue with the contemporary world and becoming one of the landmarks in the design landscape. Strategic is the alliance with Piero Lissoni: since 1988 he has led the firm’s unique style in his dual role as art director and designer. Living Divani collaborates with personalities such as Shiro Kuramata, Francesco Rota, Arik Levy, Claesson Koivisto Rune, Junya Ishigami, Harry&Camila, Nathan Yong, who all share the company’s style and approach to design. Over the years Living Divani has developed a vast and varied offer in a gradual process of creation of a complete living environment, which revolves around the upholstery system, with its subtle shapes and proportions, to ombine with characterful complements - seats, armchairs, beds,tables, bookcases and carpets and an outdoor collection - that will suit and define any setting, from the essential and rigorous to the multifarious and eclectic décor. Founded in 1874, Louis Poulsen is a Danish lighting manufacturer born out of the Scandinavian design tradition where form follows function. The function and design of their products are tailored to reflect and support the rhythm of natural light. In close partnership with designers, architects and other talents like Poul Henningsen, Arne Jacobsen, Verner Panton, Øivind Slaatto, Alfred Homann, Oki Sato and Louise Campbell, they have established ourselves as one of the key global suppliers of architectural and decorative lighting. Defying traditional product categories, their products serve and span the professional and private lighting markets for both indoor and outdoor applications. Founded in 2012 in Copenhagen by the designer Mikal Harrsen and under consultancy of architect Adam Hall, MA/U Studio can be summed up in a few simple principles: clean lines, functionality and constant research without compromise on quality. Over the years, these objectives gave birth to the production of multifunctional furniture that reinterprets Scandinavian tradition in a contemporary way, being attentive to the expectations of global markets and focusing on space flexibility. A cultural trend increasingly crossing boundaries between professional and domestic interiors and favoring furniture pieces able to change and adapt to different spaces. In January 2017 MA/U Studio was acquired by leading historical Made in Italy furniture brand De Padova becoming part of the Boffi group. Magis was established in 1976 in the north east of Italy, one of Europe’s most dynamic industrial areas. It was founded by Eugenio Perazza, “a businessman who asks clear design questions that already provide a significant part of the answer, particularly when carefully formulated together with a talented designer” (Giampiero Bosoni, Domus 941, November 2010). The company is a prominent lodestar in the design world. Me Too: a collection of furniture and accessories created in 2004 to enable children to experience the creativity, sensations and solutions dreamt up by the big names in contemporary design. The idea of Me Too originally came from Eugenio Perazza, the creator of Magis, a leading firm in the Italian-made market, who wanted to give his granddaughter a table to draw on. Leafing through various catalogues, he realised there was no furniture for children of her age, or even a little older, that offered advanced design characteristics, like grown-up furniture, but also a simplicity of use suitable for little ones. MDF Italia Srl is a Milan-based design company manufacturing furniture, which was fully acquired in 2013 by the holding group of the Cassina family, a long-standing leader in Italian design. MDF Italia was set up with a dynamic entrepreneurial and product strategy in mind and it has always focused on design and simplicity as core values in selecting projects and designers. Miniforms is a bizarre kind of. She always wears colourful outfits with strange shapes that stand out her soft and clean face. You can regularly see her talking with a lot of young talented designers. Sometimes you can see her in a coffee shop dressed as a bourgeois and chatting with the Irony and with the Avant Garde. Sometimes with the Environmentalist sharing love for the environment and wood. In the ’70, when they listened David Bowie music in disco, she was named differently. She was known as Industria Veneta Tavolinetti, Inveta for friends. In the ’80, when the new wave music was cool, she was looking at Europe. She started to travel, but she was still discrete. But now you can easily find her in Melbourne skyscrapers, in Madrid restaurant, in London design studio, talking fluently with a lively and fresh tone. As time goes by she looks always younger. The history of MisuraEmme started in the ’20s of the last century by two skilled craftsmen, Giuseppe and Luigi Mascheroni, who in 1939 founded the base of the company in Mariano Comense in the heart of the prolific district of furniture Brianza, well known for its excellent manufacturing. Today the establishment has a surface of 35.000 mq. Passed on by three generations, the know-how of MisuraEmme is the result of consolidated knowledge over time and loyalty to strong and imperative values. 100% made in Italy, designed by famous architects and realised making use of the artisan culture of professionals of the Brianza area. The products of MisuraEmme embody the wish to combine tradition with innovation. Today the company is not only capable of proposing furniture characterised by a high level of personalisations and one-on-one designs with the client, but also to export these values, designing solutions in tune with different international requirements. Molteni &C combines advanced technology with old fashioned tradition. From the seventies on, it has taken a distinctive direction: that of ongoing research into the modular furnishings sector, working with Luca Meda to produce a series of ideas for every room in the house, from the wardrobe to the living area to the study/ home office. Its highly successful sets of modular furnishings such as 505, Gliss5th and Pass, just to name a few, are in constant evolution. Molteni is considered a leader in this sector. Over and above these success stories, Molteni has been producing a wide range of single pieces of furniture since the eighties which can be combined to create an elegant and functional environment. Montana Møbler was founded by Peter J. Lassen in 1982. The company is a family-owned company based in Haarby on the island of Funen in Denmark where the production takes place at a high-technological production site covering 19,000 m2. Montana has around 200 employees and has its own sales organisation in Denmark and at most European markets. Bjørn Thygesen is the General Manager and Joakim Lassen is Director, Design & Communication. Montana Møbler produces and supplies shelving systems, tables, and chairs for homes and modern office environments. The Montana shelving system is designed by Peter J. Lassen. The flexible modular system and the inspiring colour palette offer freedom to create your own personal room and to personalize your style. Since it’s beginning in 2015, New Works has grown from a series of sculptural objects grounded in four core values: Natural, Experimental, Rough, and Craftsmanship. Under the vision of Creative Director Knut Benedik Humlevik, the Copenhagen design house has expanded its reach in only its second year. Demonstrating a love of the sensual and of the bold, the New Works collection has retained a strong Scandinavian base, whilst reaching out to a new global audience. Since 1994 Paola Lenti has followed a coherent and dynamic entrepreneurial strategy based on research and experimentation which has led the Company to establish itself as an international reference in the world of design. Turning the pages of a Paola Lenti catalogue is like discovering balanced and essential new design landscapes where opposites become complementary: past and present, interior and exterior, tradition and technology. In this approach one can find a serene coexistence of seemingly diverse influences: where metal and wood structures are designed to be durable; where modern and comfortable interiors seating live side by side with the newest solutions for exteriors; where elegant hand-crocheted floral rugs are created with high-tech yarns. Born in 1975, Penta marked out immediately in the furnishing market for the originality of its proposal: production and sale of basic complements to decorate the house. However, the firm belief that being successful meant offering excellent quality together with an intriguing and recognizable design, pushed the firm to specialize in one of the original branches: lighting. Since 1925 the Porro family manages a company supporting a unique furnishing philosophy, matching handicraft tradition of the time with the most modern advanced manufacturing and information technologies. The furnishing culture as family wealth, together with the diktats, production is based on, that is formal cleanness, shape and function geometry, are the buttonholes allowing Porro to consistently get a more and more consistent international market share without forgetting or betraying its origins. The brand at present too stands out for its product quality and customer service. Two basic features which still depend on the consistent connection to the local territory supporting Porro foundation and growth, to the skill and expertise of its employees and finally to an extremely flexible production and manufacturing activity organisation, consistently and rapidly complying with any standard or customised request. Since the foundation in 2006, Pulpo is famous for its colourful home accessories. The assortment was enlarged with furniture and lamps until today. Pulpo worked together with namely designers and architects of the entire world. Roda was founded in 1990 as a company specializing in the production of top quality outdoor furniture. The company’s success was assured thanks to its passion and experience, combined with the acute intuition of its founder, Roberto Pompa, one of the first Italians to work on the new Interior Garden concept: an interior garden that does away with the increasingly transient boundary between indoors and out. Roda really established itself in Italy and Europe from 1990 to 2000, specializing in teak furniture production distinguished by its quality and excellent design. Serralunga was founded in Biella in 1825. Serralunga is the name of the family that has been the creative and entrepreneurial heart of the company for six generations, manufacturing modern outdoor furniture. The company was started as a tannery and then moved into leather processing for industrial purposes. The real revolution arrived with the processing of plastic and then with the rotational moulding technique imported from the U.S.A., which gave origin to countless Italian design objects, such as outdoor lighting and contemporary furniture, all made in Italy. The company has been based in the same place for almost two centuries. Its production is totally concentrated in Biella, Italy, in the street named after the Serralunga family, in a 12,000 m² plant, employing 65 members of staff and around the same amount in satellite activities. The plant processes over 1,200 tons of plastic and produces around 200,000 items a year. Cassina bought the trademark of Simon Gavina two historic brands that carry on the history of Italian design. The fundamental concept of the company, founded in 1968, is to continue to think and produce pieces of furniture that have created the roots of the culture of design, furnishings that are now timeless classics that have established a dialogue between artistic research and production - Collection Ultramobile -and they have exceeded the limits of rationalism elevating the project to the great traditional values - Collection Ultrarazionale. The collections include works by artists such as Carlo Scarpa, Marcel Breuer, Kazuhide Takahama, Tobia Scarpa, Man Ray and Meret Oppenheim. The result is a perfect combination that allows the rich and historical works of poetry, revive and give more passion to the history of design. Filippo Dell'Orto established SpHaus in 2004 with the intent to bring together advanced technology, superior materials, and the work of contemporary, fresh designers. The success of the company has depended on the efficiency of its production as well as the advanced skills of its engineers. SpHaus offers a growing range of modern pieces of furniture for private and public spaces. Studio Italia Design has been the premier designer and producer of modern lighting fixtures since their start in 1950. Based in Venice, Italy their fixtures display the highest quality and design standards and epitomize the prestigious label: “Made in Italy.” They use only the finest materials such as hand-blown glass diffusers crafted in Murano which are then combined with stainless steel, brass and aluminium accents in a variety of finishes. Tato’s design concept results in a new economic and cultural scenario and in a future-oriented tradition of manual dexterity, knowledge of gestures and materials, handicrafts. All those elements that make Italy well-known in the world. There is no industry that can do without handicrafts. Never before has tradition been as valuableasit is today. Tecta is synonymous for theBauhaus movement – but with a forward-thinking approach. Lauenförde lies along the undulating banks of the river Weser. For over 40 years avant-garde designers have flocked to the town with a population of 3,000: be it British architects Peter & Alison Smithson, Mies vander Rohe’s architect, Sergius Ruegenberg, Jean Prouvé, Stefan Wewerka or the great Bauhaus thinkers such as the Gropius family. Today run by Axel Bruchhäuser and his nephew Christian Drescher, Tecta’s mission and responsibility is to preserve and review the best ideas and designs of modernism as created by the Bauhaus movement in Weimar or Dessau. In addition, we are driven by the desire to think forward, enhance and adapt them. Tonelli Design manufactures furnishing items and accessories in glass. The company was founded in the mid-1980s and is the result of a deep and lasting passion for research and experimentation. Tradition and technologyhave been brought together to forge a company philosophy, the very heart of which is based on the value given to design, and therefore, to the deisgner, when it comes to enhancing the characteristics of this unique element: glass. Since 1969, the bond between traditional craftsmanship and modern aesthetic solutions characterizes Varaschin, a venetian company leader in the outdoor market. The weave, once of rattan and wicker now of synthetic materials more suitable for the outdoors, has always been the soul of Varaschin production, a unique stylistic feature and synonym of quality. In addition to the outdoor collections, Varaschin also manufactures indoor and contract products, signed by the most prestigious names in Italian and international design. Each product line has its own story and identity, but the re-interpretation of the weave concept is the common denominator among them. Veblén has its starting point in the history written by the Livi family on glass and crystal, in the know-how gained on the exclusivity of shapes, and is now an interpreter of the desire of those who want to enrich their lives with precious furnishings that convey elegance with greater emphasis. Verpan is the foremost manufacturer of lighting and furniture from famous Danish designer Verner Panton. Verpan produces a wide range of pendant, floor and table lighting from Verner Panton, in addition to classic chairs and furniture. Viccarbe collection shows the value and references for a contemporany style of living, with a wide range products for confortable living. It is distinguished by great simplicity, innovate elegance and global brand awereness. Also, it can relate to the user thanks to its natural integration into different surroundings. This collection is ideal for people who live in the present and think of the future. Julien Vidame discovered his true passion in a school of arts where he had the opportunity to experiment with various techniques. He confirmed his taste for art and especially his desire to create objects which stand out by their refined and interactive style. Impatient to discover the work reality, Julien Vidame quit the course during the second year and decided to try his luck in London, where after several weeks trough the town meeting designers he was finally hired. Back in Brittany after one year, Julien Vidame developed dozens of prototypes of a photo frame and a mirror. When these two products were completely successful ; patent, packaging, brochure, business strategy, a first series was made. Several orders one of which from the " Centre Pompidou " allowed him to launch and develop his creations. The swiss family business Vitra was founded in 1950 in Weil am Rhein, Germany, by Willi Fehlbaum, owner of a furniture store in Basel. In 1981, following a fire that destroyed the production facilities, the company commissioned the English architect Nicholas Grimshaw with the outline of a new factory. Next to the aluminium industrial hall, raised in only six months' time, was built in 1986 another production facility by the Portuguese architect Alvaro Siza. In 1989, Frank Gehry designed yet another building next to the first two. The same Gehry also accounts for what later was to become the "Vitra Design Museum" and, originally, was intended to house the private furniture collection of Rolf Fehlbaum. In 1993 Zaha Hadid added a fire station which currently houses a collection of the Design Museum. In the same year a pavilion for conferences was built after a design by Tadao Ando. In 1994, Vitra's administrative offices moved to the nearby Birsfelden, in Switzerland. The same year Alvaro Siza added the shop building to the production site in Weil am Rhein. Today, the "Vitra Campus" is home to the Vitra Design Museum, the Vitra Haus and other buildings, each of them closely linked to the name of an internationally renowed architects, like Herzog & De Meuron. Warli produces its modern carpets in areas of the world which have a history for this kind of craftsmanship and a tradition for excellence. We make working and life conditions of people who manufacture our carpets our responsibility. This is the ethic of the Warli label. Our carpets are produced within the “Kaleen” project of socially responsible manufacturing, promoted by the Indian CEPC, which certifies our products as free from use of illegal child labour. Gebrüder Thonet Vienna GmbH (GTV) has develop edits work in a successful blend of the traditional and the modern, of continuity and renewal, with a new production program that begins by re-editing a series of Gebrüder Thonet classics. At the same time, GTV stands for contemporary furnishing. Advanced production techniques are applied to innovative designs and uses of materials, to create highly sought-after, multipurpose furnishing items. Truly original, up-to-date solutions that integrate well with the more classic products of its catalogue, now reworked. Tradition and innovation, pragmatism and creativity, the strength of metal and the lightness of ideas, those of designers and those of customers. Because at YDF the factory remains the beating heart where you give exact shape to every wish or need, even the most complex, with the accuracy of a bespoke tailoring. Beating heart where all began in the early Seventies. Engine, the passion for metalworking: a 360° handling for the creation of the most diverse objects, mainly pointed towards third companies within the furniture industry. Over time production and working techniques innovate and diversify, but stay anchored to its roots, that proudly sink in metal: iron, steel, stainless steel, brass, copper, bronze or aluminum. Today YDF masters the entire production process: specialized in CUSTOM engineering and fabrication, we propose as ideal partner for qualified and demanding customers in terms of quality and reliability. Yomei was established in July 2006 by André Schelbach. André Schelbach has been inﬂuenced by his practical work as a designer for the ﬁrms-designteam but has now developed his own personal style: a mix of artistic ambition and a healthy dose of pragmatism. The collection includes extraordinary pieces of functional furniture “Made in Germany”. The name Yomei comes from the Japanese and means “excellent”. André Schelbach lived in Japan for some time. Established in 1954, Zanotta is one of the recognized leaders in Italian industrial design since ever. Guided by the insight and wondeful entrepreneurship abilities of the founder, Aurelio Zanotta, starting from the 1960s it won and has held the international spotlight, thanks to its products: these are emblematic from the viewpoint of formal innovation as well as of the technological research, aiming at a continuous evolution in the materials quality and in the production processes. Internationally famed architects and designers have always been called in to create the products. Some of them are: Achille and Pier Giacomo Castiglioni, Gae Aulenti, Marco Zanuso, Ettore Sottsass, Joe Colombo, Alessandro Mendini, Andrea Branzi, Carlo Mollino, De Pas-D'Urbino-Lomazzi, Enzo Mari, Bruno Munari, Roberto Barbieri, Ross Lovegrove, Ludovica+Roberto Palomba, Damian Williamson. Many iconic products became established over the years of the Zanotta history, i.e. from design classics have really become long-sellers pieces. Discover exclusive sales of classicdesign.it! The best design at unbeatable prices reserved for our subscribers. 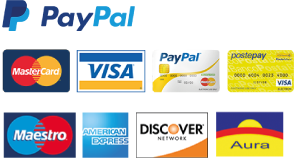 Online payments are made through the GestPay secure system by BancaSella or via PayPal: there's no need to tell us your credit card number. Your privacy is protected by a 128 bit encryption.